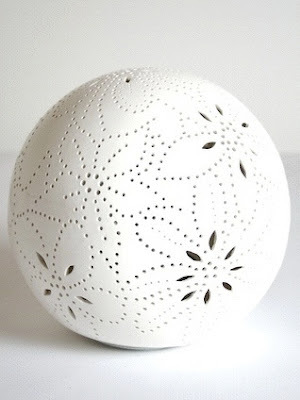 The play of light and shadow created by the perforations in this handcrafted porcelain sphere by Austrian design studio Feinedinge is so lovely. 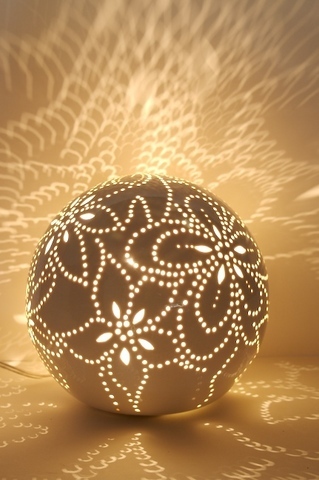 It would be breathtaking in a bedroom or on a living-room tabletop, where it would throw a delicate pattern of illumination onto the walls in the evening. Talk about mood lighting. The Moonstruck Lamp is $395 from Olio United.